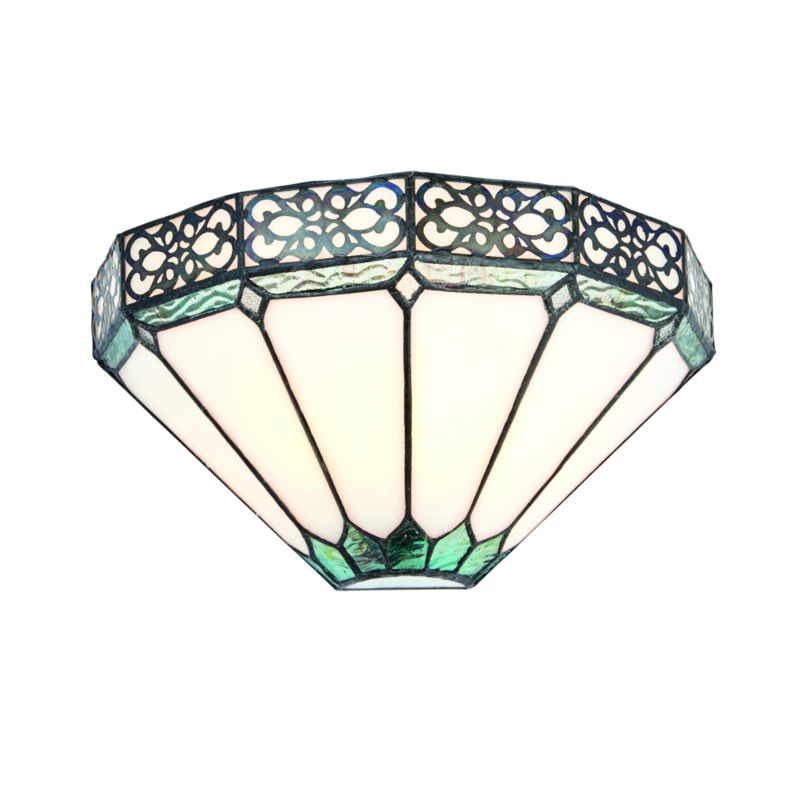 The Happy Homewares wall light has beautiful Tiffany styling with an intricately patterned border, combined with white and green glass inserts then complimented by a highlighted bronze effect fitting. Compatible with LED lamps. 16.5cm projection x 15.5cm height x 31cm width.